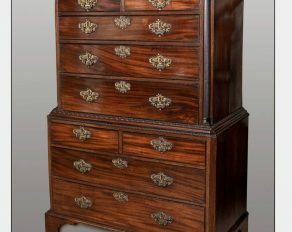 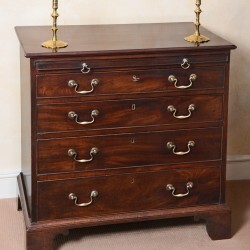 Categories: Chests, Georgian 1730-1810, Sold. 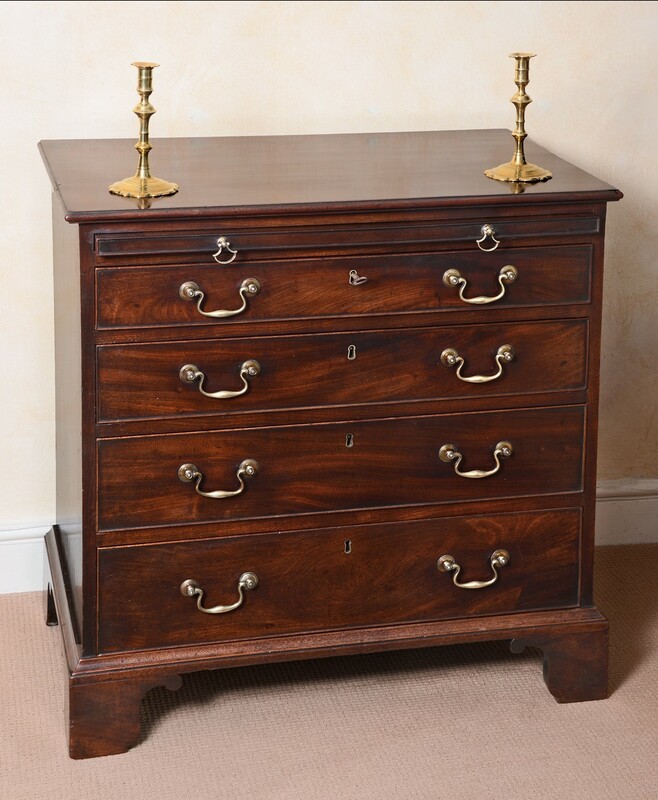 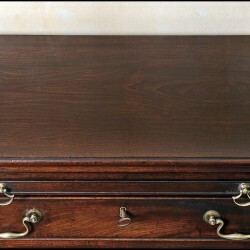 The rectangular moulded edge top over a brushing slide above four long graduated drawers retaining original handles and escutcheons, raised on shaped bracket feet. 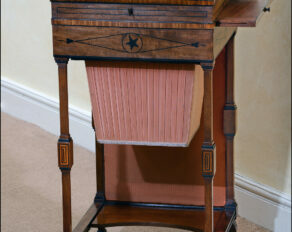 ‘Brushing-slide’ – So called because its primary purpose was to provide a surface for brushing down and folding clothes but also a surface on which to write.